Using this program is not a problem at all, since its platform is somewhat similar of that of iTunes which is very simple to use. Aside from that it also has a massive collection of song and music that is available on their data base. There are just few things that are required for you to get access to its service. First is the creation of a free account and second is the download and installation of the program. After that, all you need to do is to open the Spotify program and start playing the stream that you want. If you want to obtain an unlimited music playing, then you can opt to get a premium account or membership, and to have the benefit of playing your song selection even if you are offline. Furthermore, this tool will also help you manage your music collection by sorting them out in various playlist which is awesome. However, music download is not allowed in this program because its content is DRM-protected. 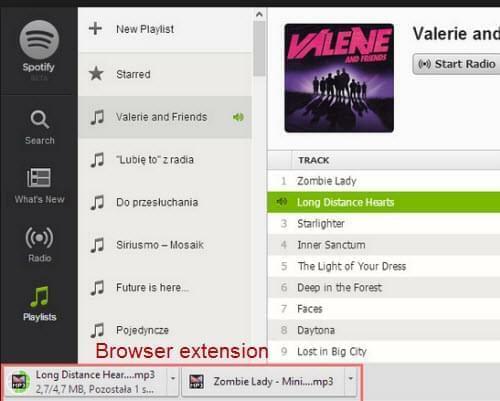 This is why it is necessary to have an excellent way to download mp3 from spotify. Since all of Spotify’s content is copyright protected, there is no way for any audio stream downloading tool to download music stream. Don’t be easily convinced with the promises that many downloader is promoting for they will only infect you computer with a bunch of malwares and viruses. For safe and reliable way to download mp3, then here are some of the best methods that you can make advantage of. 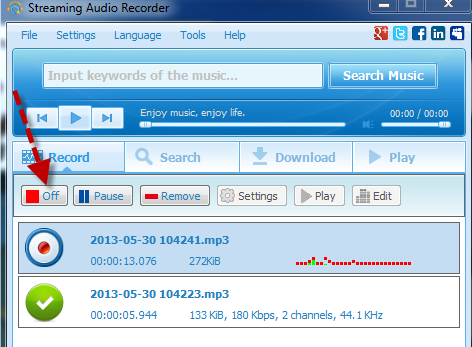 The most convenient way to download spotify mp3 is by using Streaming Audio Recorder. By using this tool you can easily record every audio that you play on your computer smoothly and efficiently. To begin with the audio stream recording, all you need to do is to open the Spotify program and the Streaming Audio Recorder at the same time. Then press the Record button on the audio recorder 2 to 3 seconds before you play your desired song on Spotify, and just hit the Stop button when the music ends. Your audio will be saved at your HD at the same time your music stops playing, Isn’t that great? It is definitely a hassle free process that you surely must try. 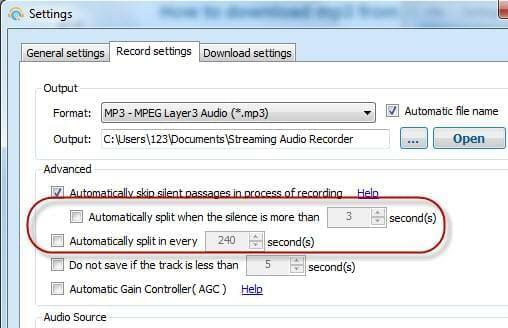 Tips: Moreover, when the music that you want to record comes within a playlist or you tend to download spotify playlist, then you can utilized the silence detection function to split songs automatically. Just go to the Settings and check the box for Automatically split when silence which is located at the program’s setting. Once it is set, the program will now record music separately. On the other hand, if you are a Mac user and want to grab Spotify mp3 then you can make use of it as well. This is a tool that is designed perfectly to meet all of the recording needs that Mac users has. This is an application that serves as a Google Chrome browser’s extension. By using this program you can easily download spotify mp3 that you want because it is free from any copyright. However, you this audio downloader have limited offerings, due to the fact that it is a program extension that cannot stand alone without a browser. Aside from this, it has great demerits as well, just like it causes constant crashes on web browser, low quality audio downloads, and some failed downloads. There are other ways to download spotify to mp3 from the above mentioned programs. It is up to you to which one will you patronize. But for a better music stream downloading, it is far better to use the combination of Spotify and Stream Audio Recorder, simply because they function at the highest level possible.